When Democrats regained the House in November, they knew crafting their message in the midst of a high-stakes and emotionally charged back and forth over the Trump administration's handling of policy would be a formidable challenge. Any message would have to be unified and would need to thread the needle between assuring balanced oversight and use of subpoena power while taking great pains to not appear overzealous and potentially turn off voters. They've been cautious not to use the "I" word -- impeachment -- when discussing special counsel Robert Mueller's ongoing probe into Russia interference during the 2016 presidential election. Enter David Cicilline -- the five-term Congressman from Rhode Island's 1st Congressional District and chairman of the Democratic Policy and Communications Committee in charge of shaping that messaging for House Democrats. 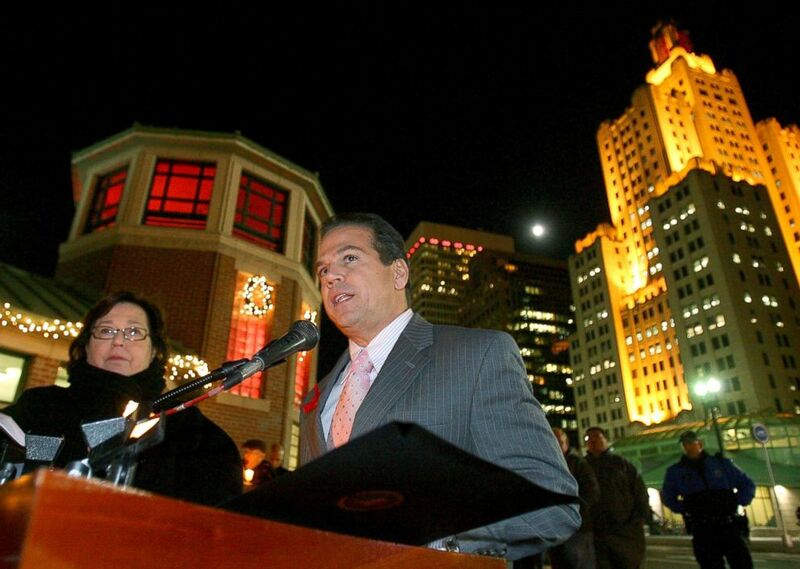 Mayor David Cicilline speaks in front of the Providence's Skating Rink, which is illuminated (RED) in honor of World AIDS Day, Dec. 1, 2009, in Providence, R.I.
His role is a crucial one -- pulling together the disparate voices of an eager and boisterous progressive freshman class and the more cautious tone from the party's elder statesmen in lockstep with the overall messaging for the caucus. House Democrats say their message is simple: "For the People." But exactly how to keep this message at the forefront in a caucus with different ideas on how to best serve "the people" is a challenge. Just this week, outspoken freshman Rep. Alexandria Ocasio-Cortez, of New York, voted against the Democrats' proposal to fund the government because of concerns funding Immigration and Customs Enforcement. Cicilline intends to draw on his experience as a mayor, knowing a personal relationship goes along way -- especially with constituents. "People would write to me and call me about very personal things, that I know they haven't done with other offices. But I think people understand the mayor of the city is responsible for a lot of the things that matter in their lives and just feel more connected to the mayor," he told ABC News. 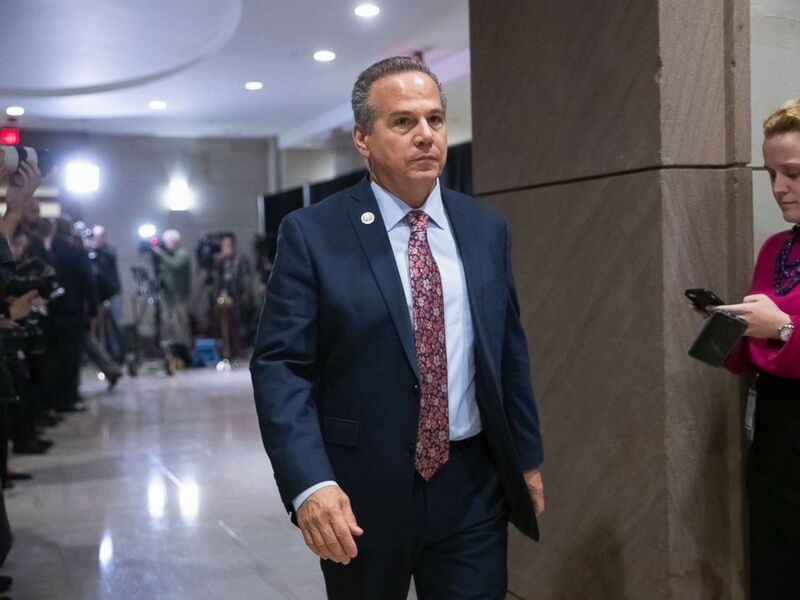 "We need to have a message that responds to what we are actually doing," Cicilline said, adding that his group will have to work closely with committee chairs because Democrats can't "have a message that is separate from our work." Rep. David Cicilline, D-R.I., leaves the House Democratic Caucus leadership elections at the Capitol, Nov. 28, 2018. Cicilline also mentioned another important lesson he said he learned: listening. "As mayor, you don't have a choice, you have to listen, because if you don't listen they are at your office the next day or you run into them in the supermarket or at the little league opener; you're in the community constantly," he told ABC News while sitting on a couch with Rhode Island-themed pillows. Listening has led him to become a rising star in the Democratic Party -- a new face for House leadership and an elevated profile on cable news. And some high-profile exchanges with members of President Trump's cabinet. However, for Cicilline, the elevated profile is just business as usual. "Once a mayor always a mayor," he continued. He told ABC News it was important to hear from people who you are "working for" whether they like you or not. Cicilline also serves on the important House Judiciary Committee and is the chairman of the Subcommittee on Regulatory Reform, Commercial and Antitrust Law. The House Judiciary Committee is in charge of oversight and investigations into the Department of Justice, so it is essential for Democrats to be on the same page. The Committee is expected to have acting Attorney General Matthew Whitaker testify in front of their committee sometime next month. Cleaning up government, and making it more transparent, is something that is well known to Cicilline after taking control of a city from his predecessor, Mayor Vincent "Buddy" Cianci, known for wheeling and dealing. 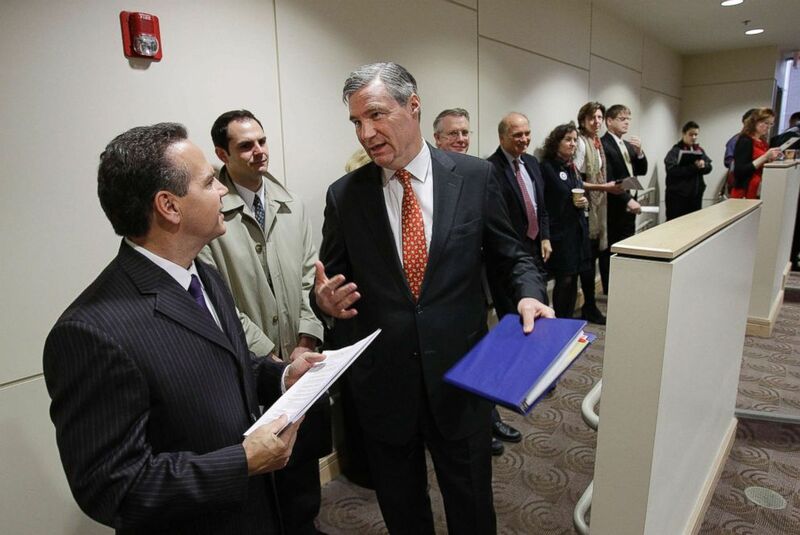 Sen. Sheldon Whitehouse, D-R.I., talks with Providence Mayor and Rep.-elect David Cicilline, D-R.I., left, during the Ocean State Consortium of Advanced Resources (OSCAR) conference at Brown University in Providence, R.I., Dec. 13, 2010. Cianci was sentenced to five years in federal prison for racketeering while the mayor of the city for the second time -- after resigning is disgrace the first time. Cicilline told the story about how a police captain who had felt demoralized by the city's climate of corruption. Cicilline's efforts, the officer said, inspired him to rededicate himself to the job. Cicilline said revamping the police department in Providence was what he was most proud of. Gov. Gina Raimondo, D-R.I., the chairwoman of the Democratic Governors Association told ABC News that he is a great advocate for the state. “David Cicilline is tireless advocate for Rhode Islanders. From protecting our healthcare to securing investments in infrastructure, David spends every day in Washington fighting to make our state better," she told ABC News in a statement. "We went from having two open federal investigations in the police department to an accredited police department," he exclaimed. Sen. Sheldon Whitehouse, part of the all-Democrat Rhode Island delegation, told ABC News that Cicilline is "well respected" around the Capitol. Whitehouse continued to say that Rhode Island is lucky to have a representative like Cicilline. Respectability has led him to find friends who aren't in Rhode Island. Massachusetts Democratic Rep. Joe Kennedy told the Providence Journal that he's earned respect in Congress.